I promised you Crispy Pork Wontons the other day, and I am delivering on that promise. I know, I know it’s still January and we are all supposed to be eating healthy, but I think moderation is in order, don’t you? I have a Caesar Salad coming up next so that should even things out. LOL 😉 Is anyone buying this explanation? Just say yes and keep reading….. 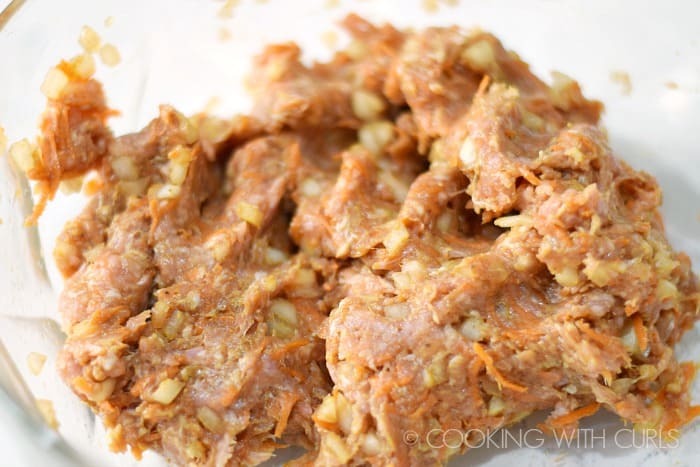 Mix the pork, carrot, onion, salt, pepper, and soy sauce together in a large bowl….. It is easiest to mix with your hands to get all of the ingredients well blended….. 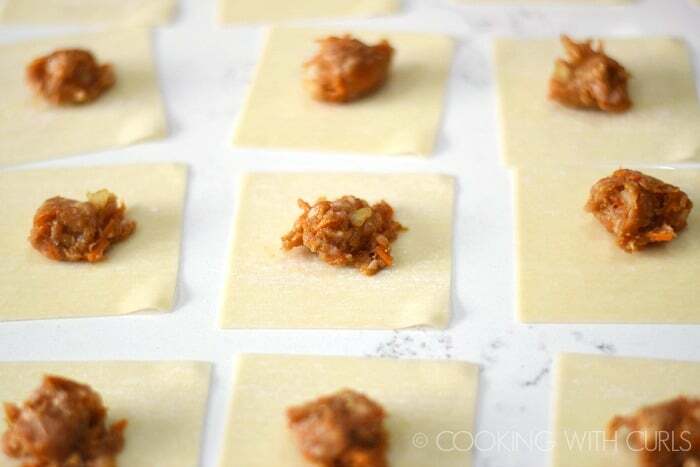 Separate the wonton wrappers and lay then down on a large surface. 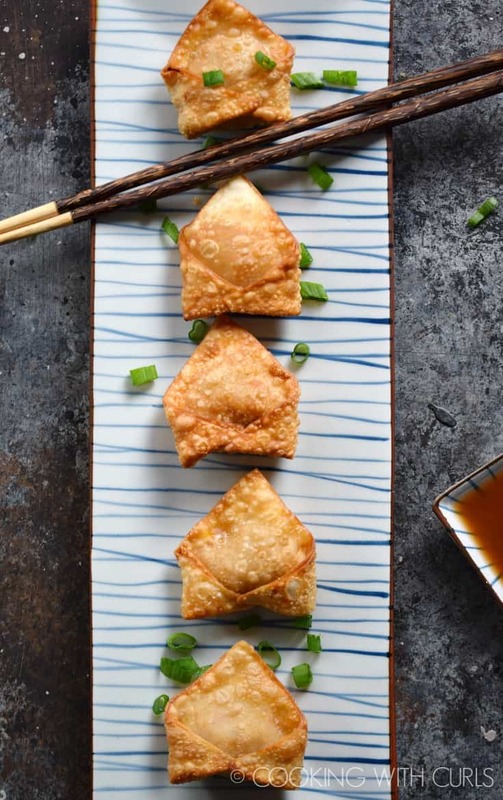 * Spoon 1 teaspoon of filling onto the center of each wrapper…..
Brush the edges of the wonton wrappers with the beaten egg….. Fold the corner of the wrapper over the filling to form a triangle…..
Press the edges together to seal. 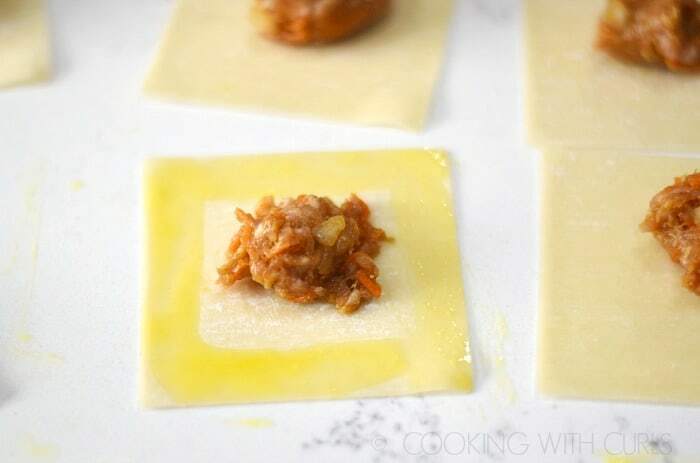 Fold two of the corners up to the center and press together to seal…..
Place the finished wontons onto a baking sheet. 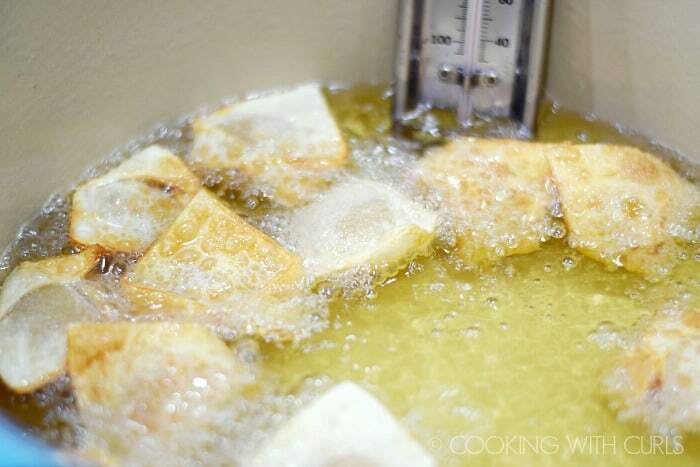 Heat the oil in a large Dutch oven or deep fryer to 365 degrees. 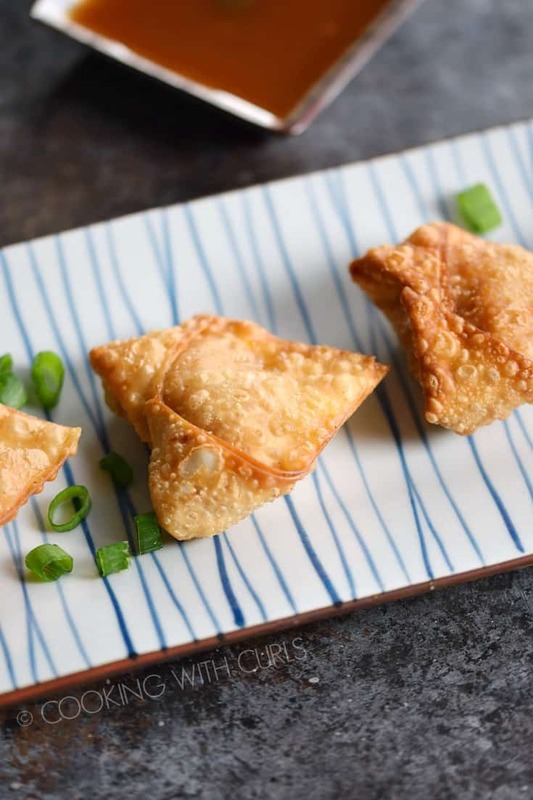 Fry the wontons in small batches until they turn golden brown….. Remove from the oil and place on paper towel-lined baking sheet. 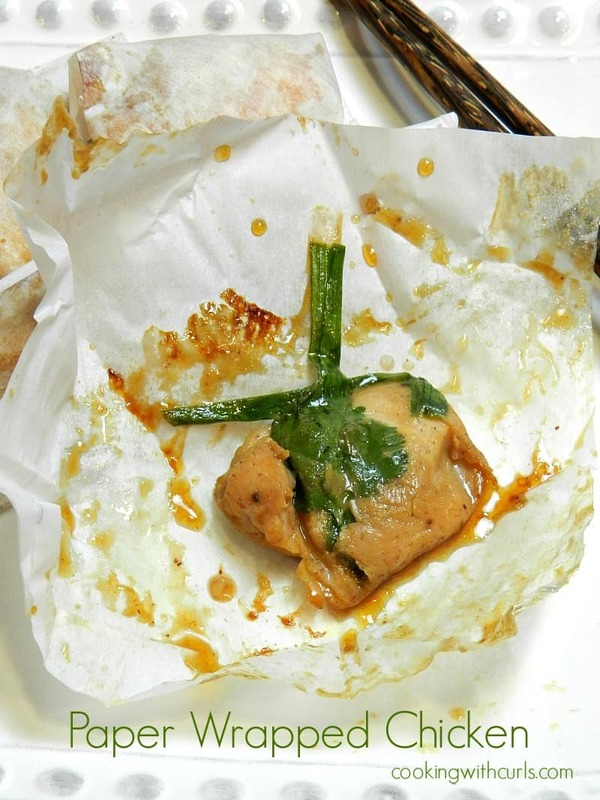 Serve with Sweet and Sour Sauce…..
*Do not overfill your wonton wrappers, they will explode or break apart. 1 teaspoon really is the right amount. Work in batches when you lay out and fill your wontons. You don’t want the wrappers to dry out while sitting on the counter. 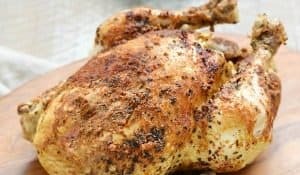 If you don’t like pork, chicken is delicious as well. I got my new Deep Fry/Candy Thermometer and it works perfectly!! Now I know exactly how hot the oil is. This Spider Strainer is perfect for removing wontons from hot oil. 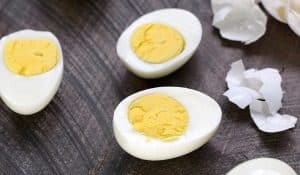 Tip – fry a small amount of the filling in a pan until no longer pink inside so you can check the flavor and decided if you need more seasonings. 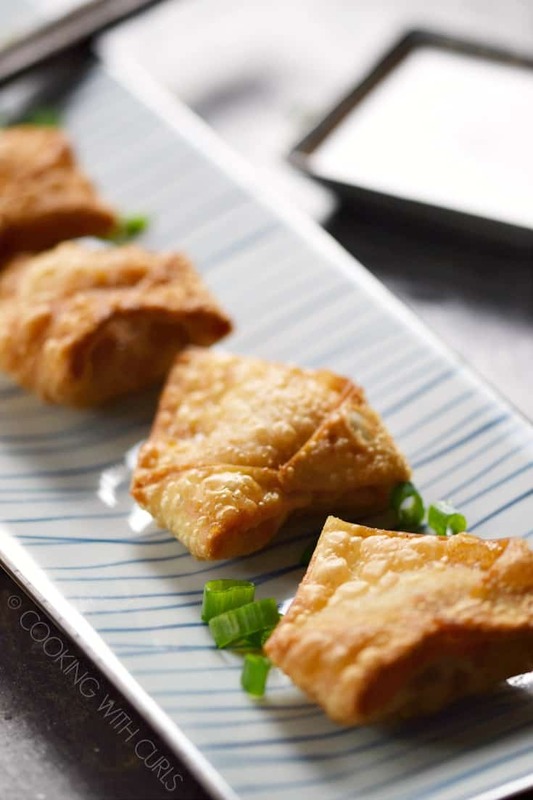 You might also like to try these other delicious restaurant appetizers…..
Don’t want the mess of frying? 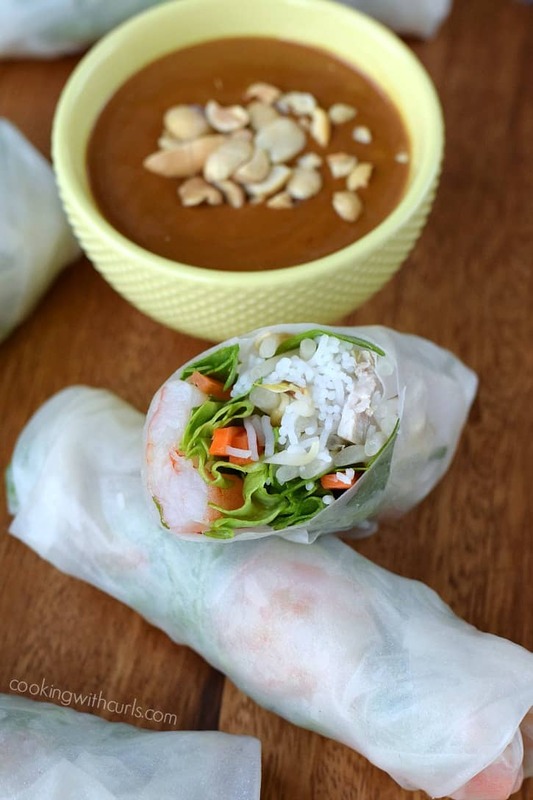 These Spring Rolls with Peanut Dipping Sauce are amazing!! 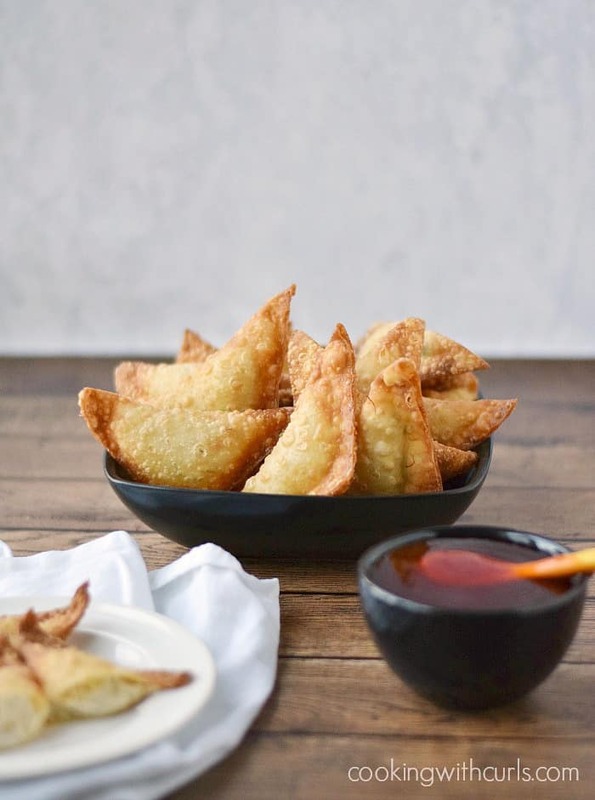 These Crispy Pork Wontons with Sweet and Sour Dipping Sauce are the perfect start to your Chinese meal or as a party appetizer! 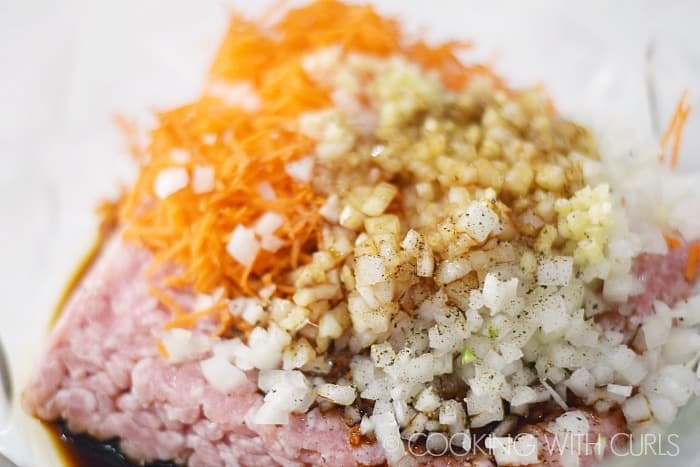 Mix the pork, carrot, onion, salt, pepper, and soy sauce together in a large bowl. It is easiest to mix with your hands to get all of the ingredients well blended. 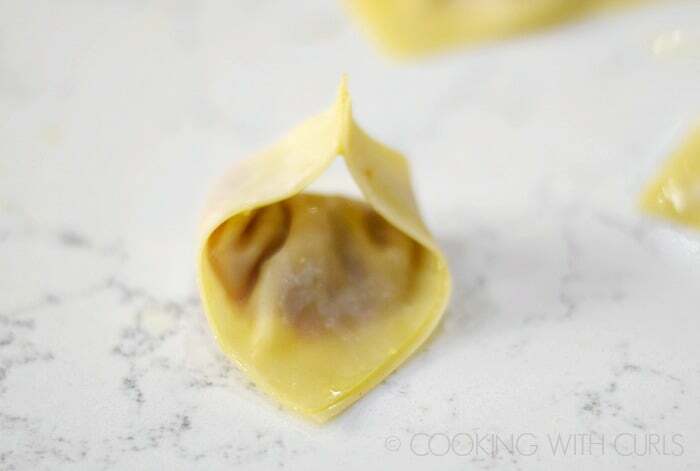 Separate the wonton wrappers and lay then down on a large surface. * Spoon 1 teaspoon of filling onto the center of each wrapper. 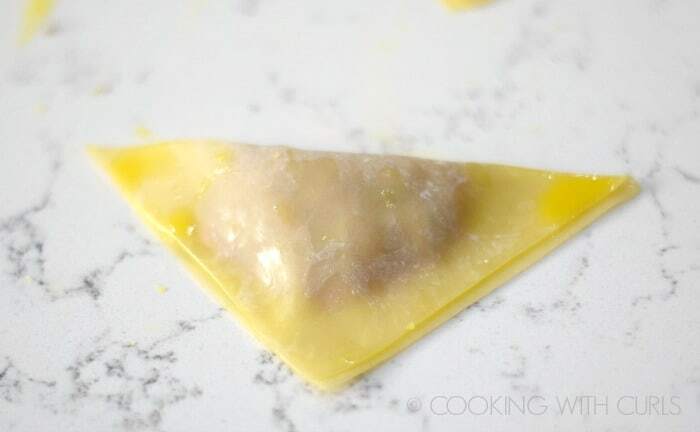 Brush the edges of the wonton wrappers with the beaten egg. Fold the corner of the wrapper over the filling to form a triangle. Press the edges together to seal. Fold two of the corners up to the center and press together to seal. Heat the oil in a large Dutch oven or deep fryer to 365 degrees. 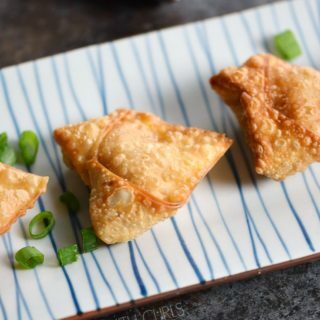 Fry the wontons in small batches until they turn golden brown. Remove from the oil and place on paper towel-lined baking sheet. Serve with Sweet and Sour Sauce. 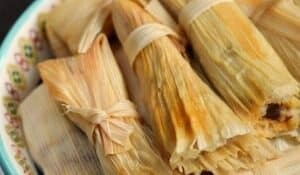 Tip - fry a small amount of the filling in a pan until no longer pink inside so you can check the flavor and decided if you need more seasonings.